Apply for your teacher's qualification to begin your teaching career. JobTestPrep is here to help you prepare for the process so you're ready for the UCAS career test. Read more to find out how JobTestPrep will get you ready for the UCAS professional skills tests today. For those looking to train as a teacher in the UK, there are two major options. The first option includes the various UCAS teacher training programmes: Post-Graduate Certificate in Education (PGCE), School Direct Training Programme, and School Centred Initial Teacher Training (SCITT). The second option is the Teach First programme, an independent charity organisation. When choosing a course for your teacher's training, you will find myriad options that vary in time commitment and pre-requisites. For assessors to determine your compatibility to the training programme, aspiring teachers face a number of professional skills test assessments during the recruitment process. These can include interviews, role-play exercises, group exercises, a written task, and/or a presentation. The process for each training programme varies, so take note of all information you get from the programme, and ensure your success by making the most of teacher professional skills practice. It's important to note that whichever option you choose, each process is challenging, therefore it's vital that you prepare with JobTestPrep. UCAS and course providers receive more applications than they have space for. As the UCAS application form is your first opportunity to state your case for becoming a teacher, it's vital that your application form fulfils every requirement and shows your best side. Personal statement – You have 4,000 characters (including letters, blank spaces, and line breaks) to sell yourself as best you can. The personal statement must include your answers to four main questions, listed below. Given the limited space you have available, map out your response first, and then write and edit it to ensure you have covered all of your important points. What do you enjoy about working with young people? Why will you enjoy teaching your subject? What do you have to offer to teaching, other than specialist subject knowledge? School and work experience statement – You have 1,600 characters to describe how your education and work experience to date will contribute to your future career. Be sure to include information about all your work experience, and account for any periods that do not fall into either an education or work category (travelling, gap year, and so on). The personal and work experience statements can be challenging as you must balance the need to be concise whilst including as much information as possible. Focus on words that add value, and be sure to check spelling and grammar thoroughly before submitting your application form. It's important to note that the UCAS Teacher Training application process is the same for the School Direct Training Programme and the School-Centred Initial Teacher Training programmes. The numeracy skills section reviews mental arithmetic and basic maths concepts. The literacy skills section focuses on grammar, spelling, punctuation, and comprehension. All applicants to initial teacher training must pass both the numeracy and literacy professional skills tests at some point in the recruitment process. However, the professional skills tests can be sat up to three times before you are deferred from the programme for two years (at which point you will need to reapply to the training programme). Again, you cannot begin your training programme until you have passed the teachers' professional skills test, so it is of the utmost importance that you practise for the exam. Our practice numeracy and literacy tests for teachers can help you prepare for the UCAS career test. An individual interview to help the assessor gain information about you and your motivations for becoming a teacher. See below for additional information about the interview. A discussion in which you talk about a teaching-related topic in groups. Remember that you are being observed on your ability to listen to others and how you tailor your responses to what has been said before you; your effectiveness when engaging with others; and your ability to communicate clearly with others. A group task or exercise which involves your group having to achieve a task as a team. Your aim in this exercise is to ensure that the group reaches that goal, as well as to contribute to the team effort. A presentation which examines your ability to create and follow a logical structure, target your presentation to the audience, and engage the audience. The presentation is a test of your language skills. 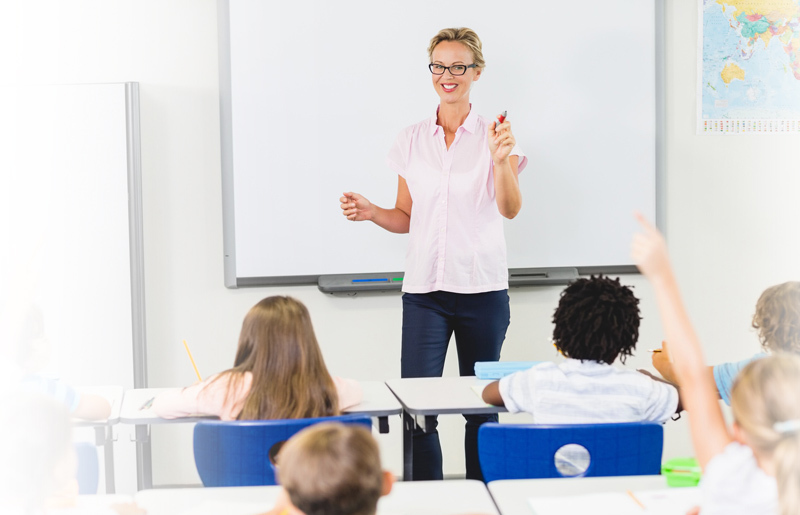 As many providers are looking for classroom experience, teaching a mini lesson is a practical test of any experience you may have. You are advised to find a way to spend time in a classroom ahead of your assessment day. A written task which can include writing a short essay on a topic, such as the necessary qualities in a teacher, or answering questions on an article. The exercise may be handwritten, requiring you to ensure your presentation is neat and readable. What qualities make a successful teacher? Why do you want to do your teacher training with us? Tell us about your classroom experience. Give an example of a good or bad lesson you have observed. Why was it good or bad? How would you help pupils reach their potential? Prepare for the interview by reviewing your motivations for becoming a teacher, in addition to preparing answers for questions on the topics above. Be sure to include examples (from previous work experience) that demonstrate your skills. To ensure you are fully answering the questions and highlighting your strengths, utilise the STAR method (Situation, Task, Action, and Result). Also, think about conducting a mock interview to practise delivering your answers. The UCAS Teacher Training application process is geared towards ensuring the best applicants get places on initial teacher training programmes. Competition for places is high, and you only have two opportunities to apply through UCAS for a place. Thus it is important to ensure your application is the best it can be from the start of the process by taking advantage of our teacher skills test practice materials. We offer a range of preparation materials which can help you improve your chances during these assessments. Our assessment practice tests offer sample questions and study guides to develop your skills, while our interview preparation and case study pack can prepare you for the second stage of the process. Preparation for the professional skills course exam may seem simple, but it is essential getting a job as a teacher once your training has finished. Practise numeracy and literacy tests for teachers' training with our ITT skills test practice pack. It provides teacher practice tests, study guides, drills, and tutorials to help you prepare for all aspects of this test. Understanding the challenge and how to overcome it is your key to success. We look forward to helping you throughout your application.